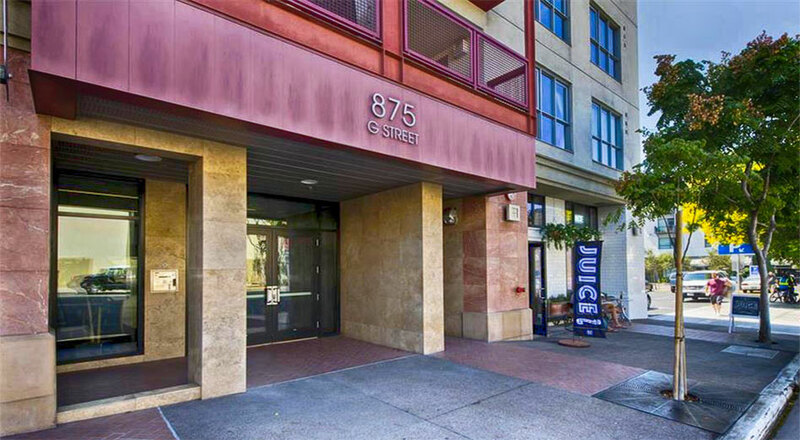 Nexus San Diego is an 8-story, mixed use mid-rise building containing 76 residential condos and retail space on its ground floor in the East Village neighborhood of Downtown. 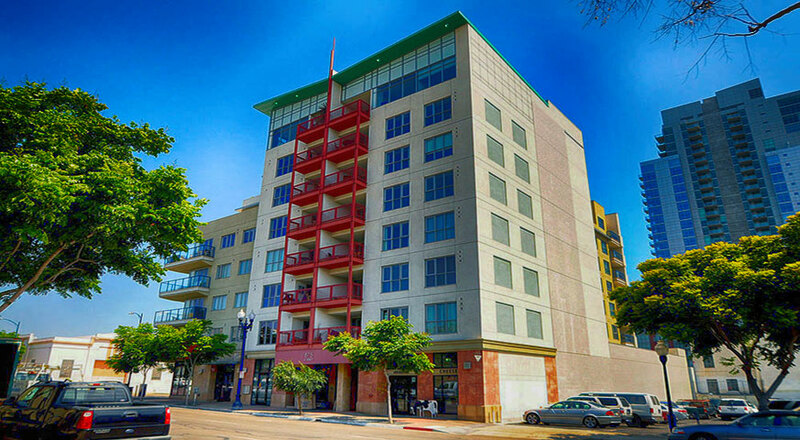 Nexus is located on the south-west corner of G Street and 9th Avenue just three blocks away from Petco Park, the Gaslamp Quarter and Horton Plaza..
Nexus was built in 2006 by Centex Homes. 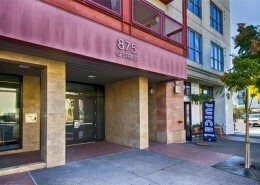 Nexus contains more than 20 unique floor plan varying in sizes from approximately 600 to 1,300 square feet that include studios, one and two bedroom condos. 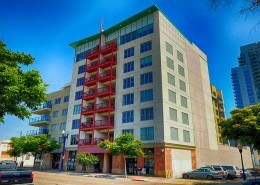 It also offers live/work lofts on the ground floor. 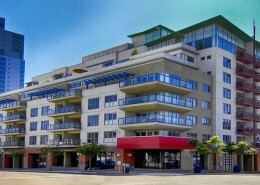 Residences feature a balcony or terrace. 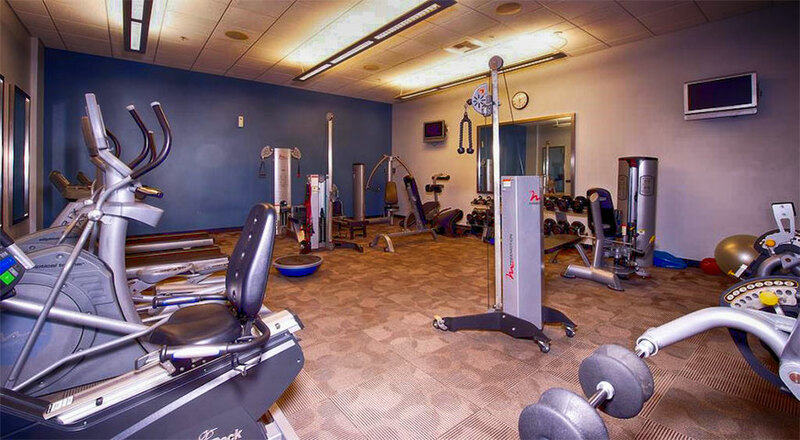 Residents at the Nexus Condos have access to a fitness center off the 1st floor ramp to the parking garage and a 7th floor terrace with a BBQ area. 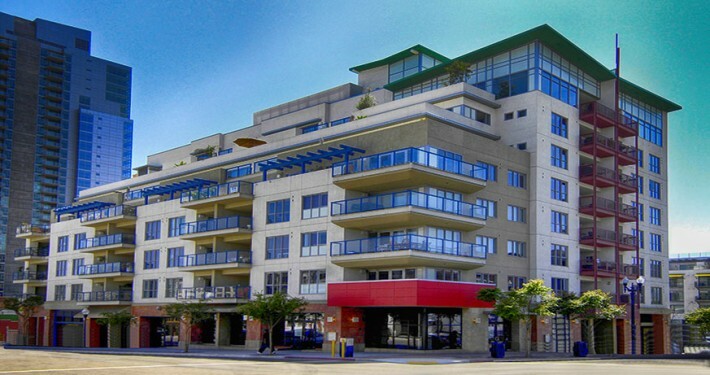 Homeowner Association dues start at $475 per month. 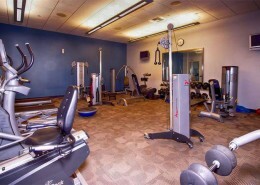 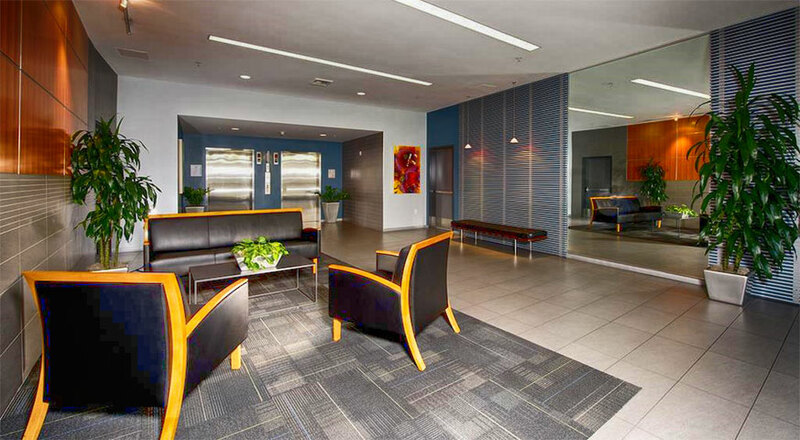 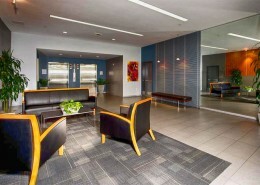 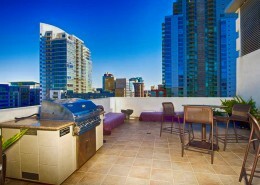 Below you can find currently available studios and condos for sale in Nexus San Diego. There might also be additional condominiums available that are not listed in the listings database. 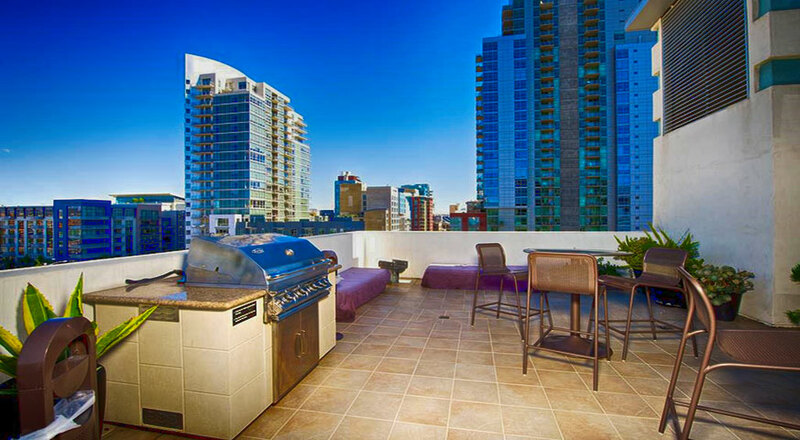 Please call us at (619) 921-0284 for more information and availability on Nexus condos for sale in Downtown.